Contemporary eyewear provides you with much more than sharp vision. With designer frames ranging from sophisticated to funky, your eyeglasses are an expression of who you are. At our Pearland contact lens center, we have a huge selection of quality eyewear to enhance your unique style. Please stop in and browse our boutique collection anytime! Although they’re amazing accessories, don’t forget that prescription eyeglasses also need to provide you with sharp, crisp vision. Our optical team will help you choose the perfect pair of eyeglass frames to ensure that you both look and see great. We’re knowledgeable about how to match the best eyewear with your vision correction needs. Not every style of frames will support every prescription, and we’ll help you find the ideal glasses for your face and eyesight in our Pearland optical display. The strong Southern sun can be harsh on your eyes, and our Pearland optometrist recommends that you wear sunglasses to protect your eyes from harmful sun UV rays. We offer prescription and nonprescription sunglasses in a broad range of shapes and colors. Many of our patients prefer the convenience and comfort of contact lenses, and a full selection of lenses from brand-name manufacturers can be purchased in our Pearland eye care office. 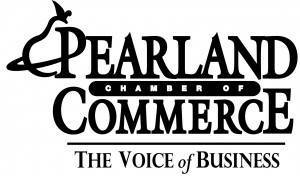 If you need a new vision prescription, Pearland contact lens fitting or eye exam, please contact us for an appointment with our professional optometrist! We provide contact lens service from A-Z, from expert fittings and exams to determining the best lenses for your vision and eye condition. We fit ZEISS Officelens at our Pearland, TX eye care center for Digital Eye Strain relief at any distance, ergonomically fitted for book, desk, or room. Blue light radiation is a contemporary hazard of spending extended time gazing at a computer screen, tablet and/or phone. Eyestrain is a common complaint, and we’ll can help you reduce these symptoms with specialized computer glasses. A pair of stylish sunglasses from our Texas State Optical Pearland collection will protect your eyes from damaging UV rays, and give you a cool look! We offer a wide range of designer sunglass frames in prescription and non-prescription versions. Nowadays, the EyeGlass is enjoying a new popularity – even with the many contact lens options and corrective laser surgeries out there! Learn all about the EyeGlass from our Pearland optometrists. Eyeglasses last longer when they are taken care of properly. Here are some guidelines on how to handle and maintain your prescription eyeglass lenses and frames. We’ll also explain the pros and cons of all the types of lenses. Outdoor recreations and active sports make specialty eyeglasses a requirement for your lifestyle. 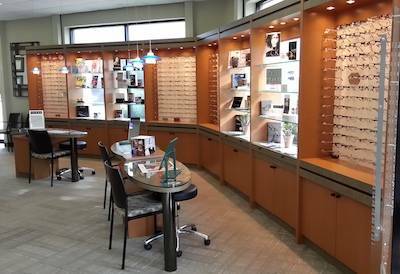 Visit our Pearland office and we’ll advise you on the best customized eyewear to keep your eyes safe and enhance your performance! We offer many different lens coatings and treatments as solutions against UV rays, glare or scratches. All of these disturbances may pose a hazard to your daily eyesight. The most advanced, popular photochromic lenses are made by Transitions Optical, Inc., and we’re proud to offer these lenses in our Pearland eye care office. You’re invited to use our interactive online tool to help sort through our eyeglasses before you step foot in our Pearland optometrist practice! Children can be very picky about their eyeglasses. We’re experienced in helping kids to try on eyeglasses, and we’ll ensure that their selection fits well and looks right for their age and style!